With the convenience of a CMS website comes a certain amount of risk and responsibility. Content Management Systems are a great way for our clients to make minor changes without the extra expense associated with hiring a website developers time. Logging in to your CMS gives your computer access to the interior of your website. Without proper viral screening on your Hardware, you run the risk of exposing your site to “Malware” software that can infiltrate the HTML on your site and cause serious problems.  @Large takes great lengths to ensure that your site is healthy and working properly before handing you the keys. In the event that this software infects your site, our team has the resources and skills necessary to investigate and fix the problems. This service is offered on an as-needed basis for a one-time fee of $250.00 – $500.00 depending on complexity of situation.